In the world we live in, a business without a website is like a car without wheels…it’s not going anywhere! Your website provides you with a way to connect with potential clients and convince them that your products or services are just what they need. If you’re at the point where you’re putting together a website for your company, you’ll no doubt be aware of the importance of choosing the right web hosting provider. The only trouble is, there are literally hundreds all vying for your business. So just how do you pick one over all the others and make sure your website is built upon solid foundations? We wanted to try and make this decision a little easier for you, so you can spend less time trawling the web and more time running your business. And we did this by reaching out to nearly 100 people that deal with web hosting each and every day…professional web design and development experts. We quizzed each of them about their recommendations for the best web hosting for small business. Each expert was allowed to name up to 3 hosts they think are a good fit. This article is the result of those conversations, and we’re going to show you which small business web hosting services came out on top, as well as what the experts had to say on the matter. So whether you’re creating your business’s first ever website or your current web host has been a let-down and you’re looking to change provider, the advice on this page should help you to figure out where to start looking. What did we say about their being a ton of small business website hosting options to choose from?! There were 58 different hosts mentioned in total by the web design and development experts we surveyed, but if you check out the table above, you’ll notice that just a handful got a majority of the votes. And it’s this small group that we’re going to focus on in this quick summary. SiteGround was the clear winner, and as an all-round package it would appear to offer everything most small businesses would want in a hosting provider, all for a very attractive price. Fast, reliable servers, coupled with solid security features (free backups, malware scans, updates, SSL certificates), and quality live support (24/7 – primarily via live chat) if you do run into any problems – SiteGround does a lot of the heavy lifting for you. And if like many small businesses, you’re on a budget, but want to make your money go as far as it can, then you won’t go far wrong with the packages offered by SiteGround, with many of our experts saying that they offer the best price-quality ratio they’ve come across. Beyond SiteGround, two dedicated WordPress hosting services came very highly recommended, in WP Engine and Flywheel. As these hosting providers focus solely on hosting WordPress sites, this has allowed them to really optimize the performance (so expect very good page load speed) of websites built using this platform, which is great for your visitors and, in turn, for SEO. The overall consensus we got from conversations with our experts is that WP Engine is the slightly more heavy hitting of the two (particularly at entry level), and while the base plans are more expensive, you get a lot for your money, with dev/staging environments included, automatic backups, CDN, free restores if you get hacked and premium quality support (WordPress experts available 24/7 over the phone!). Flywheel is still top drawer though, and entry level plans are quite a bit cheaper than WP Engine’s, so if you want that next-level performance, but need to keep your hosting bill as trim as possible, this is the option you should check out. If price is your main criteria and you’re on the lookout for affordable web hosting for small business, then GoDaddy, HostGator and Bluehost are some solid options worth checking out. All were recommended by a good number of the experts we asked, and all offer extremely cheap starter plans (less than $3/month if you commit to a longer period). They aren’t likely to match the performance of the hosts we’ve already discussed (at least not on their shared hosting plans), but they offer a trouble free route to getting your business’s website online, without significant expense, which is the important thing. Rounding out this summary of the results are a couple of powerful options for the more technically able small business owner- DigitalOcean & Amazon Web Services. These options will require you to “get your hands dirty” but they are extremely customizable. Probably overkill for a lot of small businesses, but if you need hosting with significant firepower and virtually endless possibilities, they are worth a closer look. Below we’ve posted exactly what each expert had to say when we asked them for their recommendations on the best website hosting for small business. You can check the hosts they nominated, plus why they like these hosting companies. There’s also a whole lot of hints and tips to keep in mind when choosing hosting for your website sprinkled in there too! And if you’re interested in reading what was said about a specific provider, just use the filters below to quickly jump to them. 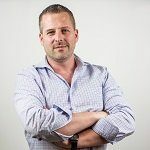 Gene is a founder of Big Apple Media, a digital design agency specializing in developing mobile-friendly WordPress sites for wellness professionals and small businesses. 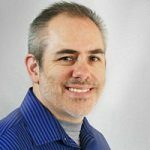 Patrick Losey is a web design veteran of 20+ years, and is the founder of Raining Fire Interactive, a design and marketing agency located in Southern California. Raining Fire's focus is on marketing and design to help businesses grow. Hostek – “Although they may not be a household name, Hostek is a company I found 15 years ago. They have grown and offer very reliable hosting at a good price. I have never had any major outages and problems are fixed usually before I have to contact them. Their support team is knowledgeable, and they understand customer service. I have dealt with a number of hosting companies and I find some are just server mills, employing less informed support and unable to help when more technical issues arise. I have never experienced that with Hostek. 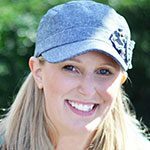 Gina Ramsey is the President of Pink Dog Digital, a full service digital marketing agency. Gina started this project because she recognized a need for a consultative digital marketing approach that scales to the size of the client. 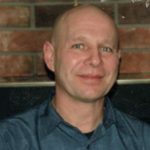 Web designer/developer for small businesses since the late 1990's. Focused on building responsive websites offering full e-commerce or product catalogue, artists portfolios, author sites, brochure (static) sites. Primarily use WordPress. Big Time Host – “An affiliate of ClickMonster. Shared hosting on solid state drives with solid uptime. They don’t jam a ton of accounts onto one server. They were not affected by the Heartbleed security bug. Clients have full CPanel access, and they can host email. An SSL certificate is included. You can take advantage of their licenses for premium WordPress plugins such as iThemes security and Backup Buddy, Gravity Forms, All In One SEO Pro. Your server space and email space are generous but not unlimited. Automatic updates are available for a monthly fee. Bluehost – “Yes, they’re part of Endurance International Group. Yes, their tech support rep might have a heavy East Indian accent. And if you register your domain with them, it will get bounced around to different companies. However they are very reliable, offer full CPanel access with unlimited storage and email accounts. You’ll save a few bucks. Your site won’t win any races for page load speed, but it WILL be faster than hosting with GoDaddy (aka SlowDaddy. They’re okay for domain registration if you can avoid the upsells, not so great for hosting). Web design & online marketing specialist with more then 11 years of prof. experience. OVH with their Cloud Web hosting service. Why? Good speed thanks to the SSD disk combined with the simplicity of managed hosting & a relatively low price. For whom? Best for beginners with almost zero knowledge about hosting & people looking for a good but cheap service. As director of a digital agency that supports other agencies, I’ve been working on the Web since the beginning and use many different hosting providers on a regular basis, including those that I wouldn’t choose personally. 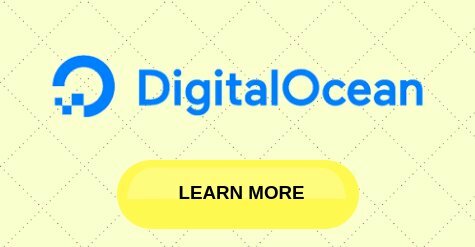 DigitalOcean – “Digital Ocean would be my first choice for hosting and usually is! They offer a great choice of Cloud-based plans that are very flexible, enabling resizing as demand changes. Their fees are competitive and yes, you can certainly find cheaper options, but these are “virtual dedicated servers” i.e. not shared with other sites, whereas the cheaper alternatives will likely be slower, located abroad and more restrictive. SiteGround – “For those needing a more user-friendly dashboard, SiteGround is a good option. With simple WordPress installations and easy integration with Cloudflare’s SSL and firewall services, this provider makes it easier for less technical users to get up and running with a hosting plan. 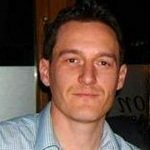 Web designer and developer of 20 years, based in Cambridge UK. I work with small to medium size businesses, start-ups, not for profits and charities. 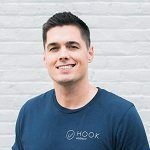 Tim Brown is the Owner of Hook Agency, a digital marketing agency driving website traffic and conversion, focused primarily on construction companies and small business. I'm the managing director and co-owner of One2create Ltd. A marketing, web and creative agency based in Hampshire. 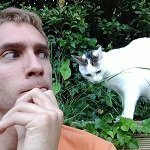 A web design and dev for many years, I build cool internet things for my clients. “When you look at the success of virtually any small business, it is the relationships of the key people that form the foundation that great businesses are built on. Websites, SEO, Social Media, are just the tools we use to help create and nurture those relationships. We take a comprehensive and integrated approach to traditional and digital marketing, so we can concentrate on those important relationships and build business as a natural result. If I had to recommend a web hosting provider for small business, it would be Inmotion Hosting for the reasons ill outline next. For this post, I chose three web hosts: Inmotion Hosting, Hostgator and GoDaddy. I feel strongly that running a small business is hard enough. We shouldn’t have to worry about our website. A word salad full of acronyms and bunches of options does not make our choices clearer. InMotion Hosting – “The reason that Inmotion Hosting was at the top of this list is that It hit every element. Their uptime is 99.6% (the number means less to me than the fact that they work hard to keep our sites up). Site speed- Inmotion Hosting offers the choice of data centers they call “Max Speed Zone” and claim that this significantly increases site speed. Every little bit of speed does help improve the customer experience, which in turn helps our Google ranking. For customer service they offer toll free call in number, user support groups, text support, email support and a support ticket system. Their support is from here in the US. If things do go wrong, Inmotion Hosting seems committed to making things work again quickly and easily. Along with easy access customer support, they provide free backups.Just one more thing we can rest easier about. Mike founded Sayenko Design, a Seattle web design agency, in 2009. He is the chief web designer in charge of creating delightful experiences for B2B companies. The focus is to move the needle on behalf of the client’s website marketing needs by building solid WordPress websites. 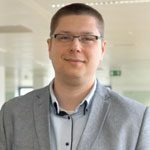 Working mostly with WordPress, Rik is a developer / designer with over 10 years' commercial experience. Rik works on projects of all sizes, solving problems for all manner of clients in various industries. Rik currently leads development at BML Creative in Leeds. Nimbus Hosting – “The customer service I’ve experienced from Nimbus has eclipsed that of any other hosting provider that I’ve ever encountered. 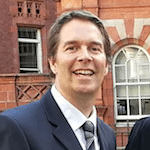 A number of services offer live chat or have ticket systems for raising issues, but none have been as effective as the UK-based team at Nimbus. If I’ve ever encountered a problem – whether user error or otherwise – Nimbus have always been quick to respond. Their staff regularly go above-and-beyond, and having since met some of the team personally I can say they’re as nice in real life too. 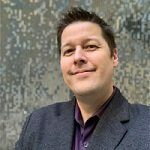 tsoHost – “I first encountered tsoHost at a previous employer, where we had a few dozen sites hosted with TSO across a number of servers. I was worried about dealing with such a large number of sites for the first time in my career, but any concerns I had were soon put to rest. 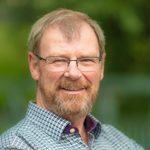 Accessing websites and databases via TSO’s control panel was simple and intuitive, and once I’d set up a site once, it quickly became second nature. TSO’s service is also robust; for years I never experienced a single issue. There was no downtime, and no problems importing databases. Put simply, hosting with TSO just works. Investor in startups by providing custom websites for $89 a year & up est 2004. Best choice for startup businesses seeking web presence. 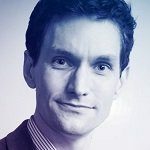 Adviser eCommerce, Business and Communities. Regarded as the Webmaster Choice generated millions of sales throughout online career. CEO Snerdey.com and a Top Selling Affiliate of Website Templates. 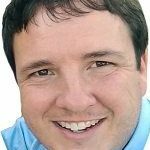 “Don’t be fooled by the low prices, unlimited usage or any other sales tactics that competing hosting providers use to gain new clients. You really need to understand what you “need” for your website as most generic, small and inexpensive hosting plans will do for just about any startup website. Mostly because you have no real traffic, so the key here is to start small and have the ability to upgrade as needed. I’ve personally have been a client of many, many hosting providers and some for a few months to over 15 years. I’m just going to provide you today with the top 3 that I would consider using for my own projects and clients. Overall it’s important to read the fine print, terms of service and make sure you understand the rules of the road. There are some hosting providers that started charging cycling fee’s. This is mostly a hidden fee, and one that I have had personal experience with in the past with a “now closed provider” – I was paying $80 a month then a shocking invoice came in for 1 month for almost $900 – it was due to one of the websites being hacked. It was using the account for 3 weeks without me even noticing it. But, you know they noticed it and simply let it ride. I fought that bill and won, as they should have provided alert or even reports in my dashboard, but that was “still in development” so they could not even prove it. Thus I was credited the difference and I instantly moved to another provider. If you’re not happy with your current host.. move to any of the above and you’ll be happy you did! 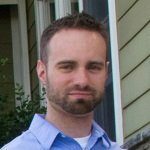 Michael has worked in websites and digital marketing since before 100mb Iomega zip drives. During that time he has built an extremely well rounded skillset... Loving equally typography and well commented code, as much as he does piloting drones or leading his super talented team over at Solid. His worst fear is letting people down, and he’ll probably drop everything to help you if you asked nice enough. 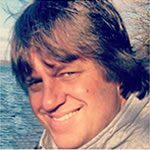 I am a self-taught web designer specializing in developing WordPress websites for small businesses. I have a keen interest in SEO and take pride in building search engine friendly websites and helping my clients grow their business. Cloudways – “The hosting provider that I recommend is Cloudways. 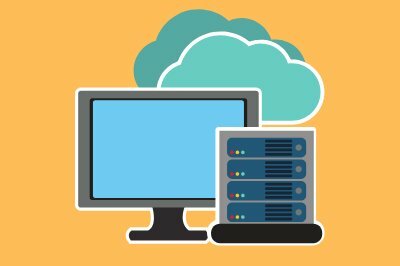 I currently use Cloudways to host my own website and my client’s sites. Cloudways provides managed cloud hosting. Clients can set up and deploy a WordPress website on a virtual private server (VPS) in minutes. The page load speed is incredible. I am very happy with the performance. Their customer support is excellent. Their Facebook Group has also been very supportive. Combining design and technology to help organisations achieve their goals. 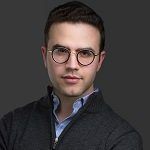 Alex has over 10 years of experience as a full stack web designer-developer and consults with companies around the world to solve real-world business problems. When investing in a new website it’s easy for designers, developers and clients to get caught up in the glitz and glamour of the design, features and functionality. However, one element that often gets overlooked, and possibly the most important element, is to find the right hosting solution for the needs of your website. We’ve seen it time and time again; clients who have amazing websites but are let down by poor quality hosting, resulting in a bad user experience and in some cases, major security issues. There is nothing worse than being contacted by a potential client who informs you of an error with your website! When looking at website hosting companies there are two main things to consider; fully managed services, where you pay a slight premium, but everything is done for you meaning you can sleep at night knowing your website is safe. Or, a self-managed service, which is often a much cheaper solution, however, you do need to be prepared to get your hands dirty should there be any problems with your website. As a web studio, we always prefer to manage hosting for our clients rather than letting the client find a hosting provider. If you are going through the process of a new website build or have a company managing your current website, speak to them first about which companies they recommend, as they will often have a good relationship with a a preferred hosting provider. Web hosting comes in two main forms; shared hosting and dedicated hosting. As the name suggests shared hosting is when your website is shared on a server with lots of other websites. For shared hosting to be commercially viable the servers need to host the maximum number of websites as possible – a bit like how budget airlines cram as many people onto one plane as possible. However, the more people on that plane, the worse the experience will be. Shared hosting works in much the same way, but for your website. On the other end of the scale is dedicated hosting. Dedicated hosting is when your website is the only site on the server, meaning your website benefits from all the resources that server has to offer. Think of dedicated hosting as a private jet; super fast, amazing experience but it is more expensive than a commercial airline, or in our example – shared hosting. Just like in the world of air travel, some people need private jets and can justify the cost, however, most of us are just fine on commercial airliners – your website hosting requirements are just the same. At this point if you are unsure whether you need dedicated or shared hosting, we would strongly advise getting the opinion of whoever is building or managing your website. 20i – “20i is a relatively new company in the world of hosting founded in 2016, however, their founders are hosting veterans, having previously founded WebFusion, 123-reg.co.uk and Heart Internet. 20i offer both shared and dedicated hosting, but we’ll focus on their shared platform as this is an amazingly low-cost hosting solution, which gives dedicated hosting provided by other companies a run for their money. What we love about 20i is they have taken the pricing model of mass-market shared hosting, but created a platform which auto scales as and when it needs. Should your website require more resources due to an increase in traffic, more resources will be allocated to ensure it runs as fast as possible. Likewise, when your website has fewer visitors and is idle, the resources are scaled back and made available for other websites on the same platform. Some other things we really love about 20i is their commitment to not cut corners. Their hosting environment is made up of superfast servers all fitted with solid state hard drives which can deliver data quicker. In addition, their load balancers are constantly working out how and where traffic should be routed to ensure every website runs at its best. 20i have a really nice dashboard which they have designed and built from scratch, which is always evolving with new features being added all the time. You can manage any aspect of your hosting from SSH access, SSL certificates, auto timeline backups, malware scans, and one-click installers for all the popular content management systems and e-commerce shops. As a reseller with 20i it’s very easy to manage multiple sites and allow clients access to their own website, while restricting some of the things they can and can’t do themselves. Finally, the support 20i offer is second to none, from basic setup and configuration to advanced requirements and very specific requests, they have always been able to resolve issues fast and keep us updated throughout the process. Flywheel – “My second recommendation is for clients who know they need a private jet, but have no interest in flying it themselves. Flywheel was founded in 2012 and is located in Omaha, U.S. but with a network of remote workers across the globe. Flywheel specialised in hosting for WordPress sites, but as most of the internet runs on WordPress there is a high chance your website also runs on WordPress. Flywheel has built their hosting network on the top of Digital Ocean, which is one of the world’s leading dedicated server (technically virtual server but we’ll call them dedicated) providers and more recently have partnered with Google Cloud to offer the next level of premium hosting. Flywheel do all the difficult and technical server configuration, security and caching to ensure super fast, super secure sites. All of which would normally have to be done by the website owner or web agency hosting the site. As managing servers isn’t a skill most designers or developers possess, Flywheel is essentially your in-house server team, taking away the stress and pressure of running an enterprise level website. Flywheel offers a dashboard with all the tools you need to get a site up and running quickly. However, due to the nature of their service being a ‘managed’ solution, you don’t have all the controls you do with standard shared hosting. This is partly because the platform is optimised and configured so you simply don’t need to make advanced changes, however, if you have specific requirements, they are more than happy to implement them for you. These requirements typically include; advanced server redirects, code that needs to be placed in the ‘htaccess’ file, configuring the wp-config.php file and scheduled tasks (CRON jobs) – all of which are pretty advanced things and not required by most websites. Flywheel offers a range of packages based on the volume of traffic and space required along with some upgrade options including content delivery network and the ability for the end user to manage billing directly. Considering the speed and performance of websites hosted with Flywheel, the costs are very attractive and we would urge all clients to consider using Flywheel. As you can see the two recommendations are very different, but in our experience and opinion, both offer the best level of service and quality for the solutions they provide. As a last note, I would always recommend the best hosting you can possibly afford. You will always see a vast performance increase in dedicated hosting compared to shared hosting but for some sites, the additional cost isn’t always justified. When looking for the right hosting company do your research and seek an expert’s opinion on the requirements you need if in doubt. I have been building websites for over 13 years and have used a variety of hosting providers. Most of the time I build websites for small businesses, so ensuring a hosting company can offer a strong and reliable uptime with sufficient technology is important for me and my clients. UKFast – “When it comes to website hosting I have to say I’m a huge fan of UKFast. I transferred to the company just over 12 months ago after a major outage with our, then current provider, Heart Internet. going to be getting that £2.49 service, i.e. you won’t just be a number on a spreadsheet. The servers that your websites will be on will not be crowded or slow, they will be quick, efficient and reliable. You will be able to choose between different operating systems and visual control panels, Plesk or cPanel/WHM. 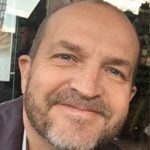 I have an eCloud Public Service with UKFast, giving me control and flexibility to scale the server up as my own business grows and to meet the needs and requirements of my clients. The account manager (you will be assigned one) will be your point of contact at UKFast for anything relating to your account, your business and even on hand to ensure you’re satisfied with their service. Their support team is on hand 24 hours a day, 7 days a week, and believe me I know that as I have often rang them at 2am in the morning. Yes you did read that right, a support team you can actually ring – no need for a ticket just pick up the phone and call. What I love about these guys is the fact that they are never too busy to respond to questions, no matter what they are. 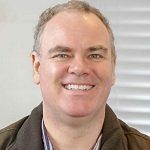 So whether you’re just setting up a WordPress website or transferring 200 clients over to their eCloud services, they really are the company you need to speak with if you value your website and reputation. For me, ensuring my client websites are online 24 hours a day, 7 days a week, 365 days a year is vital. 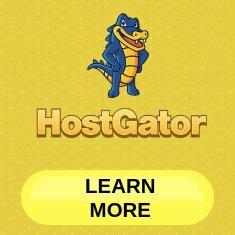 HostGator – “Hostgator, for me were my original hosting company that I started with when I first joined the online world. It was my first introduction to cPanel/WHM as well as understanding how to manage a server so it stays online – a baptism by fire one might say. I initially joined Hostgator as I, probably, like a lot of young and still wet behind the ears programmers, wanted somewhere cheap with a no frills service whilst I was completing my degree. I can remember paying $4.97 per month back in 2006, and with the £ to $ rate being so amazing I think I ended up paying around £60 for the year as a reseller, which enabled me to make a bit of money on the side for the Student Union Bar. If you’re a small business and you’re looking for somewhere to just basically put up your website and you’re not too worried about SEO, for me HostGator would be my recommendation. Their servers were reliable, I think there was only 2 or 3 outages that I had, and that was over a 4 year period. They have an online chat service, and their support team and sales team are fantastic. I cannot fault HostGator’s customer service team as they did deliver what they said they would. If my memory serves me correctly you could also manage your billing via a dedicated billing system and the support team was available via a ticket system. I own DesignPath Media, a web development company located in Nashville, Tennesse. We've been making websites since 1995. Experienced freelance web designer and web developer since 1996 (yes, I remember 14.4k dial-up modems). I create professional, functional websites for companies that range from new startups starting from scratch to established companies that may need help revamping and revitalising current websites. 20i – “I do not go for the cheapest and don’t swap providers on a whim. My current best recommendation is www.20i.com. 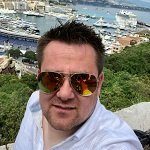 I opened an account with 20I about 8 months ago now, whilst continuing to run with my existing hosting company to be sure which gave the best service. I have just finished migrating 300 websites and closed my account with my last supplier. It wasn’t that my last supplier was bad, just 20i are better in my opinion. I am a web design & online marketing expert with over 12 years' knowledge and experience. Over the years I have worked with household brands such as eBay, Bench, Manchester City Council, Gumtree, Co-op Bank, Schuh and Carcraft. 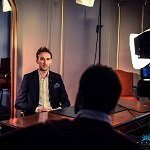 UKFast – “By now, as a small business owner you will have most definitely heard of UKFast; if you haven’t you will do at some point. UKFast have been outstanding since the day we signed and therefore get my top recommendation as a hosting provider for small businesses. We’ve now had a dedicated server with UKFast for 2+ years, and here are the main pros and cons. – Their level of support is like none other I’ve experienced. They claim to answer the support line within 3 rings. When I first heard this I thought, hmmm, that’s quite a bold claim. They answer every time, sometimes it might be 4 rings, but who’s counting. The point is they always answer. – They care. When you are in need of support this matters a lot. I’ve used the support line several times now, each time usually a different employee, but each and every one of them has dedicated the same level of care into getting any issues resolved ASAP. – Free events. I’ve been to many ‘free events’ over the years. A lot have a been a waste of time. UKFast host events, which to anyone who doesn’t host with them costs per ticket (I think the last one I attended should have been £75 if I remember rightly). You always learn a lot, they’re useful and feature some big name speakers. They cover hugely relevant topics for online businesses; Cyber Security and eCommerce Live being the last two I attended. Events include free refreshments, food, a free goodie bag and you get to ride the slide out of the event at the end if you wish too – obviously I did! Heart Internet – “Heart Internet would be my 2nd recommendation. They served a purpose for me and got us to a level in business where we outgrew them. I had 2 accounts with Heart; a shared hosting platform and a dedicated server. – Pound for pound, what you get is very reasonable. – Servers are UK based. As a UK business it’s beneficial to have a UK based server for search rankings, otherwise Google will read your website as a business based in the country of the server’s origin. I’ve found quite a few other hosting companies that businesses think are UK based, however run a few tests and find out they are based overseas. – Searching for new domain names. When searching for a domain name, I’ve heard others experience a scenario whereby the domain name that was available 24 hours earlier, isn’t available any longer and has been registered by the domain registrar they used for the initial domain search. And you can now buy it from them at an inflated price. Heart Internet do not do this. I’ve never personally experienced it either, but it’s better to be safe that sorry. If you want to be double safe then use http://whois.domaintools.com for any new domain searches. Digital River – “Digital River are a cloud based hosting provider that specialise in commerce. – Scalability. If you have a business that is scaling fast and you need a hosting provider that can adapt to this promptly and efficiently without any disruption to service, Digital River offer a cloud service which can fully facilitate your growth plan. – Cost efficiency. This is based on your requirements, so as you grow you can easily upgrade your server, then the cost of the server increases based on your upgrades. The benefit of this is that you’re not paying for a server that that has lots of unused space; just pay for what you need, rather than paying for a server you plan on growing into. – eCommerce, they hold a wealth of knowledge and experience in the eCommerce hosting sector. – Search engines will typically give higher priority to servers hosted locally with a fixed location compared to cloud based hosting when calculating the page rank. – Cost. Cloud based hosting tends to be more expensive. My agency, Macpherson Marketing, helps small businesses and real estate agents with online marketing. I like to be behind the scenes doing work. I am a competitor and love anything I can compete in, which is why I love SEO. 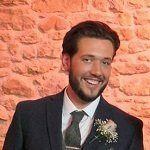 Tom is a full stack web developer with 8 years' experience in front end development, back end development and systems administration. DigitalOcean – “DigitalOcean is a great option for people with a fair amount of Linux experience. The platform allows you to spin up individual VPSs (virtual private servers) known as “droplets”, and configure them to your own needs. DigitalOcean offer a range of droplet sizes with different processing power which are scalable to your requirements, and their very competitive pricing system ensures you only pay for the time and bandwidth your droplet uses. An entrepreneur with experience in graphic design, focusing mainly on web design and user experience. Passionate about building an organization where people like to work and develop themselves. Believes in a beautiful world where great design meets KPI. “At adchitects, we carry out website and branding projects for companies from around the world. They are companies of all sizes, ranging from one-person startups to corporations working on several continents. Our website designs are based mostly on WordPress CMS. Personally, I think WordPress is a great CMS system, especially when we think about the availability of developers, but also about the flexibility in the field of marketing – probably for every tool there is a ready plug-in that you can connect to your WordPress website. Thus, merchants can do what they should and not contact the IT department. The fact is that WordPress is the most popular CMS on the global internet. Hence, most exploits are written just for this system (it’s logical, right?). But the problem of a non-functioning website does not come from the fact that it is based on CMS WordPress, and that the system owner (or the person responsible for it) simply did not care for it – did not update the main system, plugins did not perform backups, etc. When it comes to WordPress security, hosting is the key decision. Currently, there are many websites on the market that offer WordPress dedicated hosting. As a result, the entire server configuration is set for this system, including all security features. Dedicated hosting also gives you plenty of options for automating basic maintenance activities – automatic backups, staging (separate test and production environments), etc. Basically, each one is a good solution, but you need to take time and think, what do you (and your site) exactly needs. The best way is to ask the specialist (for example, the agency that develops the site for you). 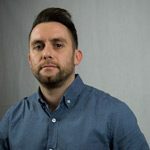 Ryan Olton is a Caribbean based website designer / developer who has delivered creative website and e-commerce solutions to clients across the globe for the past 15 years. I'm the founder + principal of Purple Pen Productions and the author of jQuery for Designers, now in its second edition. I'm also a partner in N2, the software company that makes awesome WordPress plugins. 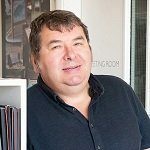 Richard has been helping small businesses establish their online presence since 1995. These days he creates online training courses about building better websites and how to start or grow a web design business. I’m currently involved in website development. Building a portal for small to medium sized businesses so that they can develop their strategy online efficiently and effectively. 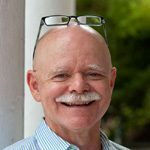 An experienced and accomplished web designer and online branding strategist, David Marmon injects years of experience and creativity into every project he touches. He is the visionary behind the Marmon Designs brand. He is a strong believer in collaboration and building a community that shares a vision for the future. 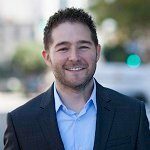 Cody has spent the last 18 years working on websites, is Google Analytics certified, and has a decade of professional marketing experience generating leads/revenue for B2B’s and B2C’s. 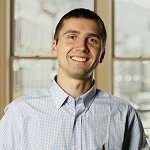 In 2011, Cody founded Sharp Guys Web Design, a digital marketing company dedicated to providing small to mid-size businesses the marketing presence their businesses deserve. I am the founder of Website Designer 1 - a web design Company in Cambridge, Ontario, Canada. I have over 10 years' experience in web design and hosting. 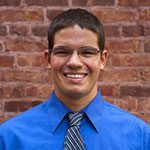 Steve Wehr is a website designer and programmer from upstate New York. 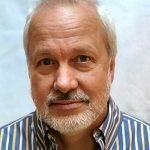 He is retired from IBM, where he spent 35 years as an engineer and programmer for mainframe systems. 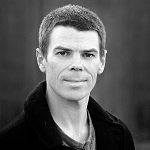 Brent Lightner is the founder and CEO of Taoti Creative (www.taoti.com), a Washington, DC-based creative/technology agency. Brent started Taoti from a college dorm (Juniata College) in 1996 where he started building websites to pay for school. From bedroom to dorm room to basement to their current headquarters on Capitol Hill in DC, Brent has worn every hat and served every role at Taoti. jSinger is a lead-generating marketing and advertising company in the Chicago suburbs. Since 2011, our team has worked in design, development and lead generation marketing. jSinger specializes in getting online sales leads for our clients through the best online marketing methods for your business. You can rest easy, knowing you have a partner who keeps up on trends and takes your marketing success seriously. “Hosting companies offer similar solutions. However, hosting companies are NOT the same. The difference lies simply in service. When you have a problem, which is inevitable, do you want a helpful, courteous and knowledgable person on the phone? A person who can get your website issue resolved in a matter of minutes or hours? Or do you want to be routed across the ocean, talk to multiple reps who don’t understand your problem, and spend 2 days fixing that same problem? Vernette John-Joiles, is a website designer/developer, workshop and seminar facilitator and online branding consultant. 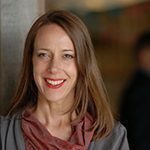 She has worked with start-up and small to medium businesses to assist with the development of their online presence. She is the winner of the 2018/19 BeMogul Award for being recognised as being an influential business owner and entrepreneurship, and also an expert contributor partner for Women on the Web. Smart Hosting – “If you are looking for a hosting provider that provides excellent customer service, then I rate these guys as the best! I have used them as a reseller option for my clients for the last 2 years so that I can set up and maintain website hosting on their behalf, and I can say that Smart Hosting have the most communicative, responsive support team… on the planet! Using their dashboard to manage and customise your account settings will either be very simple for you if you’re somewhat conversant with hosting jargon, or you’ll find that the learning curve will not be very steep if you think that you’re not very tech savvy. These days, we all want something quick and simple that does not require too much thinking time, and Smart Hosting have worked hard to provide that. They weigh in just as heavy as some other brands when it comes to server uptime, speed and all the other goodies that you could want from website hosting. One of the reasons why they would be so good for your small business is that they have extensive FAQs and articles to help you troubleshoot any niggles that you may encounter, and they do so in such a way where you don’t have to be digesting heaps of info…especially when you already have so much going on when it comes to keeping your business going. They may not be as well known as some other hosting brands that I could mention, but I can say that they are the most uncomplicated. I think you’ll come to appreciate how they work to keep you updated on changes that they are making to hosting packages, and what your options are to make sure that you are still getting the best value for money. 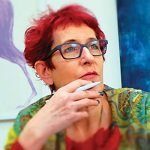 With over 16 years’ experience running web agencies, I have a range of expertise across UX, graphic design, user-interface design and the psychology of getting users to act affirmatively on websites. I now co-run Likely Story up in sunny Manchester. Flip Flop Freelance, a strategic and affordable web design company, specializes in professional and affordable WordPress web design. Based in Seattle, Flip Flop Freelance has worked with clients across the globe. 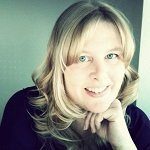 Flip Flop Freelance is run by Cindy Bouchard and was created to reflect her varied passions and diverse skill set. 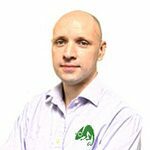 Richard started as a junior developer for some of the largest media companies in London 15 years ago. Today Empire Elements is a global, web and mobile development agency supporting clients in 7 countries across Europe and the Middle East. 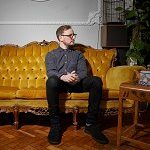 Own a small digital agency comprising a collection of a few freelancers who run around 40 websites all built with WordPress. I built my first website in 1999 and was hooked on the process. My first clients were small concerns and local to me. I also built three of my own eCommerce websites. The business has since evolved into a full web design agency with small, medium and very large clients. Brant established Ecce in 1999, the award winning UK digital agency based in Kent, UK. Ecce have been designing and delivering powerful content management sites, e-commerce websites, and custom solutions to a global client base. Our clients and long term partners include NHS and Sennheiser Global. Wirehive – “Our UK based hosting partner is Wirehive Limited, who operate to and hold the ISO27001 data security standard certification. Their core clients are other creative agencies, like ourselves, and clients hosting websites and applications. We recommend them to our clients and other agencies. The infrastructure is designed to be N+2 resilient on hardware, meaning should a server fail, another will automatically take over. They offer a realistic 100% uptime SLA on power and 99.999% on connectivity. If your hosting requirements are pretty straightforward, the sales team provides you the most cost effective and efficient set ups with the ability to scale. All aspects of the service we have found to be of the highest quality, be it the sales team, server and data centre support, account management or marketing department. They also throw great events from industry seminars to award ceremonies. Wendy Alessi is a Calgary, Canada based website designer & graphic designer. With over 10 years’ experience in the design field, she specializes in small business & e-commerce website development. 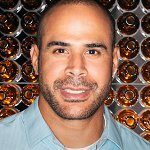 With 18 years of Digital Marketing experience, Drew has broad expertise in web technology as well as traditional marketing principles, leveraging digital acquisition tactics to produce substantial growth for Edible Arrangements International, Inc.® and other clients/brands over the years. Many hosts, large and small can stake claim to owning top spots in any of these categories, but I feel that GoDaddy has proven itself enough in each to get my thumbs up. A recent test of their economy package with a fresh WordPress install yielded 99.96% uptime over a 10-month period with an average load time of 455ms. Each of those results would likely be considered Top 5-ish among major web hosting providers. Performance aside, GoDaddy’s economy package is still seen as expensive at $7.99 p/mo compared to Bluehost or HostGator, which have economy packages under $3 p/mo and post similar performance metrics. GoDaddy has responded with promotions frequently, such as the current offering at a $2.79 p/mo first year rate with the standard $7.99 renewal. Where it starts to shine, however, is on the Deluxe and above plans where GoDaddy offers unlimited sites, storage and subdomains for a $3.99 p/mo 12-month teaser with a $10.99 renewal, more or less matching the other large providers. If you take your small business seriously, you probably shouldn’t be on a shared economy plan with any provider. GoDaddy offers an entry-level VPS (Virtual Private Server) business hosting package at $22.99 p/mo, and with unlimited bandwidth, that becomes easy to recommend. One downfall of GoDaddy is the annoying and often confusing onslaught of upsells during the checkout process. But if you can make it through the cart and figure out all the components you need, the setup and integration of your options should be seamless, even with 3rd party products like Microsoft Office 365. GoDaddy offers their own easy-to-use product user-interfaces along the way, many times eliminating the need to ever log into cPanel. Installing WordPress is an absolute breeze. Lastly, I give GoDaddy 5 stars in the one area which is often seen as their shortcoming; Support. Ignoring any quantitative or qualitative data about this subject online, I will speak from personal experience. In the dozens, if not hundreds of various contacts I’ve made to GoDaddy support over the years, be it Live Chat, Phone or Email; whether the issue seemed to be on their end or one of my many “Doh!” moments, I have NEVER left the session disappointed. As a PostScript, I’d also recommend GoDaddy web hosting to small agencies, like mine, where you can become a reseller of virtually all their products. Their domain name registration tools and online ordering are white-boxed, easy to setup and maintain (as well as integrate with your own website) and offer generous revenue shares. While this does not influence my personal review of its service, and certainly won’t make me a millionaire at my level of resale, it is a nice perk for small agencies. I'm a freelance designer for print and digital, and both design and build websites. I need good hosting for both my own website and for hosting client work. SiteGround – “I have a Siteground cloud hosting account. I’ve used Siteground for a few years and will happily recommend them as a hosting provider. 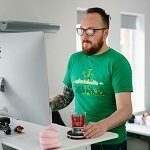 As my work involves building websites I need hosting that provides some essentials – the ability to easily manage and host multiple websites, access with SSH, Git, etc – but server management is outside my skillset. The hosting package I have provides a strong, flexible chunk of fast, reliable, non-shared server power, but I don’t need to worry about server updates, security, management, and so on. This works very well for me! 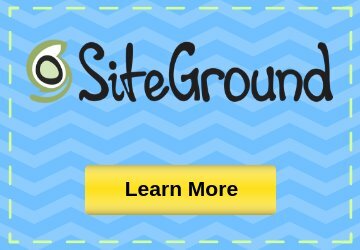 SiteGround also have excellent customer service and have helped several times with specific, technical questions – unlike other providers who simply send links to (unhelpful) articles, their support staff have investigated and worked on my actual issues and reported back their findings in a useful and informative way. 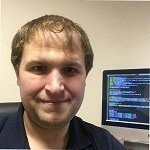 I am a postgraduate web developer with over 16 years' experience providing web services to SMEs. I specialise in building websites and full social media support. “There are literally hundreds of web hosting providers nowadays. So much so that it can be daunting to figure out how to even begin to choose the “right” one. This would be more than enough for a first website and can be upgraded fairly easily if the need arises. Questions and support are answered promptly. Downtime is virtually non-existent; it has happened once in the last 7 years U+I have been using them, and this only lasted 4 hours. 1 & 1 IONOS – “If you are a non-coder and wish to build a website yourself then 1&1 IONOS is not a bad bet. There are a lot of different packages and you are bound to find one to suit your needs. There’s a website builder option, which is fairly straightforward to use. There are prepared templates for you to choose from. Put in the time and a decent first website can be achieved. The downside is that the website will not be bespoke to you. The templates are pre-made and are equally available to everyone. You will not get the bespoke site of a web developer. Also beware of costs. The introductory prices are just that, and after that the price can go up considerably. If you are using the website builder it would be £12 PER MONTH. Founder of Design By Day, a brand & digital agency based in Manchester, UK. 34SP.com – “34sp.com is the hosting company of choice for us at Design By Day and we recommend them to all our clients. 90% of our customers are hosted with them. We’re WordPress specialists, so the WordPress hosting package is perfect for our clients. I believe all businesses should have a website presence that generates a return on their investment, so I created NonStop Marketing to get the most from being online. SiteGround – “I have worked with a dozen of the top name brand hosting companies. They are all okay, but SiteGround is my favorite go-to shared hosting. Why? Because they offer the most memory (RAM). The top hosting accounts, and I’m looking at you, the daddy of all hosting, offer only a partial bit of RAM for your shared hosting accounts. Why does RAM matter? Because some plugins don’t even work on low memory hosts. Google judges your site by the speed on how fast the site loads and memory is crucial for this. 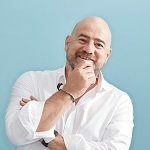 I've spent the last 15 years pushing the limits of web technology to help organisations find new customers, grow their audience & build loyal communities. 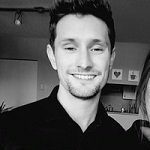 I build unique websites for companies, giving them the tools to deliver value to their customers. “First, talk to your website developer. They’ll know more about your web platform than you do, so talk to them about the capacity, scalability and performance that you’ll need for your business. Developers work with hosting platforms every day, so they’ll know what you need to look for to get the best out of your site. Second, understand that there’s a difference between personal and professional web hosting. ‘Shared’ hosting, which is what you get for those offers that are less than $10 / month, is slow, has poor uptime and is insecure. Your business is professional, so it should use professional hosting to make sure your potential customers get a snappy, reliable experience. 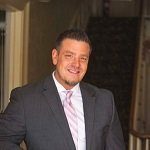 Marketing Coach and Project Manager for small businesses looking to grow their income, connect with new clients and automate lead generation. 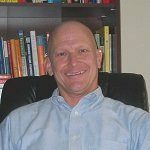 “I help sales professionals by providing website tools and pre-made websites to help them automate their lead generation. After selling thousands of tools, typically the next question I get is, “Where should I host my website?” I’m happy to share my recommendation not only based on my own experience of hosting websites since 1996, but also based on the feedback of my 5,000+ clients to date. A2 Hosting – “If you are an established company and your website is a significant part of your business plan, I’d recommend a2hosting.com. This is where I personally host my own websites and hosting that I’ve set up for my clients. Their mid-Price shared hosting plan is $12.99, which supports unlimited websites and all the bells and whistles you may need. If you have a high traffic website and page load speed is a factor for you, they do offer Boost with up to 20X faster page load speed for around $12 per month. Most of my issues or server update requests have been resolved by email in under an hour. Another nice feature of a2hosting.com is they offer FREE SSL certificates, which are recommended for all websites by Google. While other companies may be a bit cheaper per month for hosting, when you include the SSL certificate cost, the prices may be cheaper with a2hosting.com in the end. “While there are hundreds of hosting companies that may work for you or your business, these are the 3 hosting companies I would recommend without hesitation. I have experienced multi-day outages with some other well-known companies, so along with shopping for price, I would also do research into their technical support, service level agreements, and average time to resolve an issue. My recommendation is to stick with cPanel hosting and backup your websites before and after any major updates are done to your account. You will want to back up your account before any major updates because if your website designer makes a major goof, you can restore the last good working version of your website on your own. My other recommendation is to use Godaddy or another domain name registrar to register your domain name. If you register your domain at the same place you host your website, the hosting company may hold your domain name hostage to continue hosting your account. 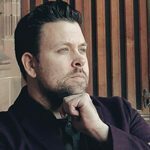 Founder of Birmingham web design agency, ALT Agency, specialising in ROI focused design, development & SEO. Former head chef and now running my own successful web agency in the burgeoning seaside town of Folkestone, Kent. We specialise in the popular CMS WordPress. 20i – “Being in the web design and development industry, you get to know who is a good hosting company and who is, well, not so good. Web Hosting is like cars; some hosts are 3 wheelers, some are like a high performance sports car. The trick is find one that offers a good, fast, reliable, feature-rich service that doesn’t cost the earth. I cannot recommend 20i enough. They offer a cutting-edge service using state of the art load-balancing servers and super-fast response time with SSD drives on all servers. The support cannot be beaten. The techs at 20i are patient, knowledgeable and extremely helpful, often replying within 10 minutes and always within the hour. GoDaddy – “I like GoDaddy and one of the main reasons is their US based support. They have very educated customer service people that are available to answer your questions, and walk you through any questions or problems you have. The one thing I don’t like about GoDaddy is that they are in the business of trying to sell you everything including the kitchen sink. You only need to register the domain name and sign up for the hosting account. Just keep clicking “no” for any of the other services they offer (other than the SSL Certificate). You may get follow up emails and even personal phone calls trying to sell you more of their services. You don’t need anything else. 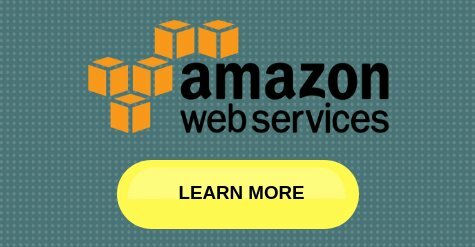 A2 Hosting – “I was referred to A2Hosting.com by a client of mine. They are an affordable hosting company and one of the top features is how secure their servers are. They take extra steps to make sure that they keep their PHP versions updated. They pride themselves on having very secure servers. Unlike GoDaddy, where I do not recommend their WordPress hosting packages, I do like A2Hosting’s WordPress hosting packages. I like their Turbo Package. The Turbo Package includes everything that most small business websites will need. They have an SSL Certificate that is included in this package. HostGator – “HostGator is my third choice. They have very affordable hosting packages. I recommend their Business Plan package, which is under Shared Web Hosting. Your WordPress site will work just fine with this shared hosting package. Have hosted client websites on web hosting company platforms since 2000. InMotion Hosting – “My company, Sneaker, has been using InMotion hosting since the 4th quarter of 2013, which is unbelievable. Since 2000, we’ve been through many hosting companies to finally arrive at a company that manages their growth and administrates their servers with consistent excellence. We have tried just about every major hosting company, or at least the top 20, in that time frame. A pattern we always see is that a hosting company starts off with super fast hosting, great support, good internal organization and a lot of enthusiasm. In our world, IT and web companies talk and word of mouth gets these start-up web hosting companies off the ground. Then the hosting company will experience tremendous growth at about 1.5 yrs to 2 yrs after their glorious introduction. That’s when the majority of them take the dive, because they can’t handle the growth. They hire server admins that they shouldn’t have hired, and things get messy. Things don’t work the same anymore. Servers are filled with too many websites. GoDaddy – “We have a lot of clients on Godaddy. I would recommend getting on a VPS plan. GoDaddy seems to be fairly consistent. The shared hosting plans are sufficient for companies that are just starting out with basic websites and few visitors, but not recommended if you really want your business to be taken seriously. If you go beyond a few visitors and a 10 page site with static content, you need to step up your game and get on a VPS, because at that level, you have a lot more flexibility. It will end up paying for itself if you’ve got a web development company that’s trying access things like the php.ini, or the database. Adminstering websites can be a lot easier through cPanel, with root level access, on a hosting plan that offers SSH and allows php settings to be adjusted. A step further is having control over your versions of PHP and MySQL. If you’re website has a user base, or ecommerce, then you’re probably going to need all of this stuff. 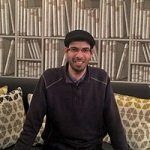 An independent Web Designer and Frontend WordPress Developer with 18 years' experience working with small businesses. 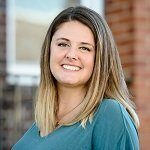 Rebecca works across business sectors, helping her clients to make the most of their online presence including advising them on which hosting providers to choose. Working independently has meant she has worked on sites hosted with many different providers, giving her good insight on which to base her recommendations. Since 2015, I have built over one hundred WordPress websites for my clients. 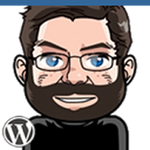 Whether building custom-coded WordPress themes, using popular page builders, or implementing new Gutenberg blocks, I stay current on the ever-changing world of WordPress. Rebecca is a web enthusiast and your one stop shop for starting a new business. She provides branding, product photography, graphic design, and website development. 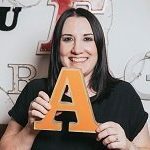 With 7 years of experience making websites for ad agencies with huge clients, she’s ready to offer her corporate strategies to your small business. Located in Austin, TX and serving companies nationwide - JS specializes in web design, SEO and digital marketing solutions for small businesses. 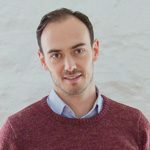 Co-Founder at Fruitbowl Studio creative design agency and Managing Director at Welcome To Ignition Ltd, an ecommerce and print on demand management agency. I have built many websites throughout my career and have had to work with many smaller web hosting companies. 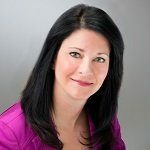 Over 25 years of marketing and communications experience with industry experience in technology, oil and gas, construction and real estate, law services, and a variety of small to mid-sized businesses. CEO of Visceral, a San Diego based digital agency focused on helping organizations that are making the world better. Let me know how I can help. 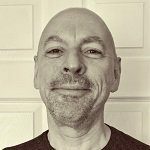 Keith has run a hosting business for small to medium businesses since 1999 and has experience in both shared and dedicated server hosting, both at data centres and at client owned facilities. 20i – “I have used several shared hosting facilities since 1999, however, so far 20i has been one of the most consistent in terms of high levels of service, quick response and huge value for money. Whereas other shared hosting providers often charge for items such as large mailboxes, SSL etc., 20i allow very generous resources right from the off. HTTPS wildcard certificates are offered as standard within packages and these pass all necessary browser tests for everyday websites. This is a great saving for you and your clients if you wish to have a secure website – really a must for most websites. euGenius Vision SEO strategies deliver results, rank businesses on page #1 of Google, and increase clients' sales. By using our search engine marketing and social media services, our clients gain online visibility, increase their traffic, and dominate the market! Ross has been immersed the web design industry since 2005. 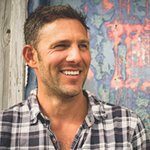 As a designer, strategist and marketer he helps brands and non-profits realize the true potential of digital marketing. “It can be tempting to look for lower priced options when it comes to hosting your website. Typically these lower plans ($15 a month or less) are what we call “shared hosting.” Shared hosting means your website is hosted on the same machine as thousands if not tens of thousands of other websites — all sharing the same resources. This is how companies can offer such low prices. The low price comes with a trade off. You’ll experience poor performance and intermittent outages. Your website is too important for that and there is no reason you should spend less on hosting than you would your cell phone. 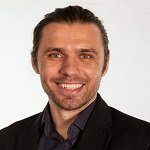 Antti Koskenrouta is the founder of Mukava, a Washington, DC-based WordPress development company. Mukava builds made-to-order WordPress websites, custom integrations and plugins to meet the clients’ needs. 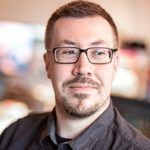 As an active member of the WordPress community, Antti has spoken at several WordCamps. 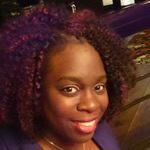 Shea Newkirk is an entrepreneur with over 15 years of experience in the tech and design industries, focusing on creating truly unique & engaging experiences. Shea is currently the CEO of design & web development agency LBWD, specializing in e-commerce solutions with a customer-first approach. WordPress Designer and Developer with over 20 years' experience helping small businesses and non-profits. “At Priority Pixels we have always used a range of hosting providers and there aren’t many we haven’t tried out over the years. You may think most hosting is the same, but each host has a slightly different setup, so it’s important you choose the right one for your business. Chameleon was formed in 2001 by the entrepreneur, Ian Bevis. The goal and ambition at the time was to provide cost effective internet solutions to small businesses in Birmingham and to become one of the most successful web companies in the West Midlands at a time when the internet was only just beginning. Today the company is a leading name in the industry, providing services globally to leading brand names. “Hosting is not something that should be seen as a cost-saving exercise. You need a reliable hosting provider to ensure your website / shop front is open 24 hours a day. We would recommend Heart Internet, Rackspace and UK 2 NET. 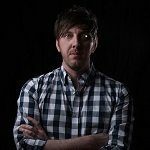 I currently work on a freelance basis providing web design and development services for multiple marketing and design agencies and individual small businesses in Lancaster, York, Lebanon, Reading and Philadelphia PA. I specialize in custom WordPress theme development. I also provide graphic design services. I create brands and websites for small business owners and entrepreneurs. 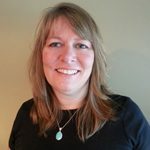 Susan Smith specializes in web design for the construction trades. 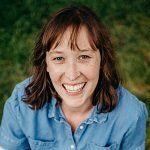 With a tried-and-true process, she brings them a steady flow of leads through a kickass website, helps them get great reviews, and attract top workers. No bull sh*t. Just results. “If you are a startup or small business, price will always be a concern when looking for web hosting services, but it shouldn’t be your only concern. Looking for a host company can be very confusing when you don’t know what to look for in a provider. Some hosting providers may have some of the best marketing out there to get your business, but they aren’t always the best option. On a typical monthly subscription, pricing plans can be as low as single figures or reach as high as triple digits, depending on the hosting plan you need. The 3 most important factors you should consider when choosing a host company are speed (how long it takes a site to load), uptime (needs to be at least 99.94%), and customer support. A2 Hosting – “A2 Hosting is a solid web host all around, with extremely high uptime and excellent page loading speed; they claim to be 20X faster. This is really important today as people won’t stick around waiting for your website to load. They have great customer support, either through live chat, email or phone 24/7/365. A2 provides a few helpful, preventative measures to keep hackers out of your site with HackScan; a free service that includes virus scanning, 24/7 security monitoring, and a brute force defense. A2 Hosting offer very fast, high performance web hosting services suitable for websites of all sizes. SiteGround – “SiteGround is a hosting provider with an excellent uptime score. They also offer uptime guarantee, providing you with one month of free service if uptime falls below 99.99% and an additional month if uptime falls below 99.90%. SiteGround takes pride in their customer support; their knowledgeable support staff is available 24/7/365. All SiteGround servers are highly optimized for speed and are super-fast. Worried about getting hacked? (it happens all the time) Another great feature, SiteGround sets all of your websites to auto-update so that you no longer have to worry about installing the latest patches or software updates. When it comes to hosting providers A2 Hosting and SiteGround are 2 of the best companies; they both have blazing fast hosting with amazing uptime and great support. Solve® is an SEO, digital marketing and web design agency based in Cornwall, UK. They have helped over 250+ businesses all over the world, of which they have proven to create online success and get businesses seen online. “Hosting is a critical factor for any website that wants to perform well for its visitors and in search. It is often overlooked and budget hosting will cost you more than you think. Page and site speed are very important factors for both user experience and a Google ranking factor. For example, the retail giant, Amazon, recently calculated that a one-second delay in page load speed could cost them $1.6 billion in sales each year. People will abandon carts and even never return to a site again if it’s slow. Especially for those users on mobile devices, speed matters. If a high-quality hosting provider is used, then we see a direct impact of increased rankings, traffic and lower bounce rate. Expirit was founded by Zach Schwartz with a vision to help small brands go big. Today, Expirit serves as the go-to branding agency for top-quality work at affordable prices. Expirit offers brand and web development, graphic design and digital marketing. 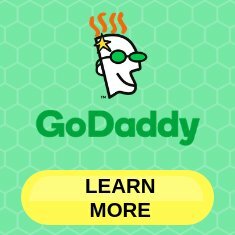 GoDaddy – “Our favorite thing about Go-Daddy is their outstanding 24/7 customer support. Whether you are having a hosting issue or just need a walk-through on how to complete a specific task, Go-Daddy is there to help you. Unlike many other customer support centers, Go-daddy never takes too long to answer your phone call. In regards to pricing, Go-Daddy has many easy-to-use and inexpensive hosting options for beginners and small businesses. We especially like their $8.79/month, “Deluxe Web Hosting Plan”, which features unlimited websites, unlimited storage and unlimited subdomains! Bluehost – “When it comes to great pricing, BlueHost is the go-to place for a reliable, low downtime hosting provider. BlueHost has beginner plans starting at $2.95/month and $5.95/month for unlimited websites, unlimited storage and unmetered bandwidth. In our experience with BlueHost, their customer service can be a little slower to get on the phone than Go-daddy. However compared to other hosting providers, their customer service is definitely a close second! Soma Digital Agency focuses on helping clients achieve success online by improving their digital strategies for lead generation, conversion and sales. Derek owns and operates 5.12 Design Lab, LLC out of Tacoma, WA and specializes in custom, affordable website design and development services for small and micro businesses, proudly built on WordPress and the Genesis Framework. 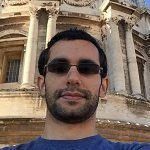 I’m a freelance web developer with 12 years' experience in the trade. 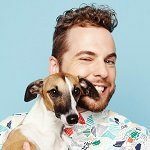 I’ve been responsible for setting up and maintaining the hosting environments for multiple design agencies, small-medium businesses, and for myself as a freelancer since day 1. 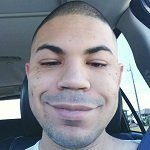 I'm a self-taught digital marketer with a passion for SEO, PPC, and social media marketing, although I also love web development too. I also like to draw and read in my spare time and am a geek at heart. HostGator – “HostGator has been my main hosting provider of choice for years. The company is always reliable and available to answer each question I have. Their customer support team has also saved me from some very dire situations where I would break the code on my website, or something would happen with the .htaccess files I’d edit. I love how everything you need is there to not only host your website, but easily install WordPress on a new domain. It’s also incredibly easy for you to create subdomains and go into the CPanel to view your information in case you wanted to use FTP to access your sites from there. Although there are times where the customer service could be improved, most of the time, the people I’ve spoken to have been helpful and friendly, and always willing to educate me on how to fix site problems and bugs. Their customer service on the phone is the best too. For example, I had a client whose site I needed to migrate over from another hosting provider, and I was able to reach a representative within minutes. They made it clear what would be required to transfer a website domain, and the breadth of knowledge they had was impressive. 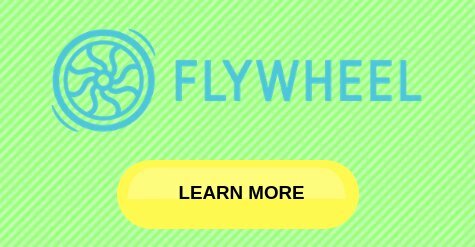 Flywheel – “Flywheel is a more recent discovery I made, but was blown away by their hosting when I tried it out for a client site I recently worked on. 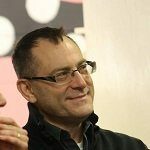 I had been familiar with their development tool called “Local by Flywheel,” which allows you to have a local environment on your computer for any WordPress sites you build. I hadn’t even thought about their hosting much until I ran into a problem where I needed to show my dev site to a client, but had no way of doing it when turning off my computer. So one day, I looked at Flywheel’s site and decided to try out a plan costing roughly $30 a month. This was the perfect solution for my needs, as I was able to transfer the client website onto their platform easily and have a staging environment to still work in. The website speed of my client site was unlike anything I had ever seen. In GTMetrix, a popular site speed measuring tool, the site was able to load in a little over a second! Because their platform doesn’t rely on Apache by default, there’s no need to have as many caching plugins on WordPress. Your code is already minified and compressed, for the most part, so you can focus more on ensuring your site is mobile-friendly, and the on-page search engine optimization is in order. 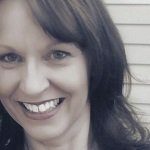 Creative director at Carlson Communications with a passion for online marketing and helping others grow their business. 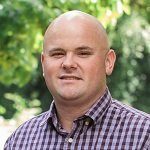 Chuck Moran is the founder and Chief Bald Guy at Bald Guy Studio, a small-business-focused digital marketing agency in Charlottesville, Virginia. 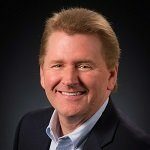 Chuck’s team creates branding, websites, social media strategies, SEO, digital ads, blog posts, online review management, and video storytelling promotions for its clients. SiteGround – “My top – and only – recommendation for small business web hosting is SiteGround. They offer everything you need (and things you didn’t know you need), at affordable fees, and their support is unparalleled in my experience. 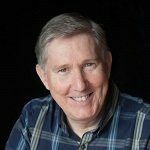 I built my first website in 1997, and I have worked with many website hosting companies over the interceding 22 years. 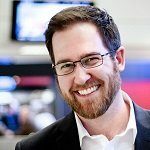 I’ve dealt with GoDaddy, Network Solutions, 1&1, WPEngine, and Media Temple on behalf of my clients and found they all have strengths and weaknesses. Whenever I’ve had opportunities to recommend hosting to my clients, I often suggested Directnic, based near New Orleans, LA, starting in about 2005. They have a solid platform, and are renowned for having gotten their service back up in 45 minutes following the devastating blow from Hurricane Katrina. I moved away from Directnic due to their limited call-in tech support hours (9am – 6pm CST, M-F). They have added chat since I left and operate it along with tickets now, 24×7. 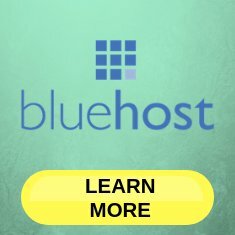 I recommended Bluehost to my clients and hosted my own websites there for years, but I feel the company has grown too fast. I have gotten erroneous and conflicting support information, and honestly, have found my new love, SiteGround, superior across the board. 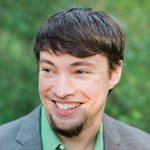 What’s so great about SiteGround? They are geared beautifully for small- and medium-sized businesses, and their support is simply fantastic. You rarely have to wait more than a few seconds for a chat or phone call to be picked up, and their friendly, courteous technicians will stick with you until your questions are answered or your issue is resolved. Want to try a suggested solution while they wait? No problem. Want a transcript of your chat? You got it. Want to file a ticket instead? Go ahead … and expect an answer in about 15 minutes. They honestly act like you’re one of just a few hundred clients; many of their techs, however, have served tens of thousands of clients. SiteGround delivers fast-loading websites from ultra-modern servers with solid state storage, positioned on three continents, utilizing a free content delivery network (CDN). They provide terrific security consisting of anti-hack systems, pushed auto-updates, free daily backups and an anti-spam application called SPAM Experts that works great protecting your email. They specialize in WordPress websites with one-click installs, a free migration tool (or they’ll migrate your website for you for free on the GrowBig plan and above). As if all of this wasn’t enough, they offer domain registration as well. Ask in any online website design community what hosting provider designers and developers prefer, and SiteGround will come up over and over. Ethan is owner/founder of web design agency, Big Imprint. For nearly 10 years they have been building and supporting websites for small businesses and non-profits. Founder and Director at Alpha Tango where we’re celebrating 21 years in business this year. WordPress and WooCommerce design and development specialists, and marketing Automation experts. 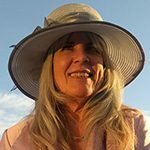 Peggy's company, PMA Web Services, provides marketing direction and strategies for entrepreneurs through mentoring, website development, social media marketing, and lead generation since 1999. 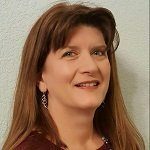 She is an Infusionsoft Certified Partner, a ReviewLead Certified Partner and holds a HubSpot Academy Social Media Certification. I’m Craig Newman. I specialise in designing and developing Wordpress themes for medium to large companies to use in the real world. I try to create sites that will have a great user experience for end-users, as well as easy to use functionality behind the scenes for the owners, who need to be able to curate content on the Wordpress platform with ease. WP Engine – “I develop websites exclusively for small to medium sized businesses and always utilise the WordPress platform to design upon. Most of these sites will also be running multiple plugins: for example, WooCommerce, Slider Revolution, Yoast SEO etc. The overall site speed is, by default, very slow (even when you disable any of the unneeded scripts from themes or plugins). I’ve testing many hosting solutions out over the years and have finally found one that is perfectly designed to host WordPress sites. 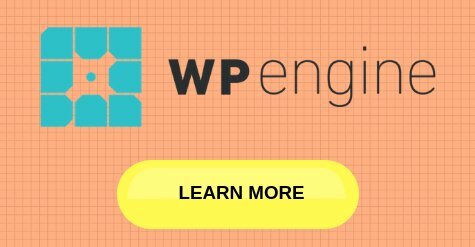 WP-Engine has so many features for WordPress users; Backup points, each WP site gets a dedicated IP address, CDN (Content Delivery Network), Free SSL Certificates, Staging & Production environments, site migration, environment stats, redirect rules, GIT push and many more great tools specifically designed for WordPress sites. 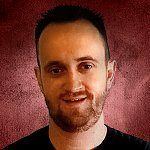 John Wilson is a web and graphic designer with over 10 years' experience working in various industries. CTO at RVSnapPad. SEO Specialist with a hand in all-things digital. 15 years' experience working with small and medium sized companies, helping them take their website to the next level and turn it into a powerful marketing tool. Chris founded Classic City Consulting after dreaming of the perfect work-life balance. 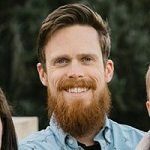 Not only does he get to enjoy designing + implementing websites, he also gets to play with his dog, travel, enjoy family dinners, and keep up with baseball. WP Engine – “WPEngine (WPE) is our company’s primary hosting provider for WordPress websites. There are a few key elements to look at when determining a good fit. In my opinion, WPE checks all the boxes. First, you want a hosting provider that has security baked in at the sever-level and not just plugins. I’ve been using WPE to host client sites for the last two years and we have not had to deal with any hacked sites or security breaches. Also, if something does go wrong, WPE provides a rolling 30 days of backups. This allows you to restore a backup with a single click. Most small business sites can be restored within 5 minutes. Another benefit for WPE is a staging site. Whenever one of our clients needs an overhaul or some testing of a new plugin, we copy the site down to a staging location to make all the changes we want. This way we don’t have to touch the Production site and our developers can safely make the changes they need to without worrying about breaking the live site. 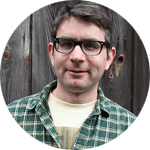 Brian Ferdinand is an interactive designer, developer, educator, and user experience specialist. 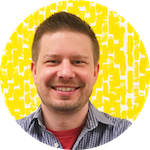 A lifelong learner, Brian handles design duties and sets the pace for studio development efforts. 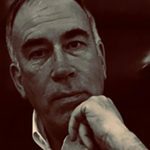 Founder & Chief Question Asker @Whatsaytheexperts.com. I'm seriously passionate about publishing content that helps. I also love a good coffee! Wow, so many votes for WP Engine yet no mention at all for Kinsta?